Despite the large sums of money that California and the federal government have dumped on to this health care exchange, enrollment on the exchange fell far short of the minimum required 1.7 million, reaching only 1.4 million. Since California has significantly overestimated enrollment for its exchanges it is now making cutbacks to its program in its advertising and outreach budget and technology services budget. 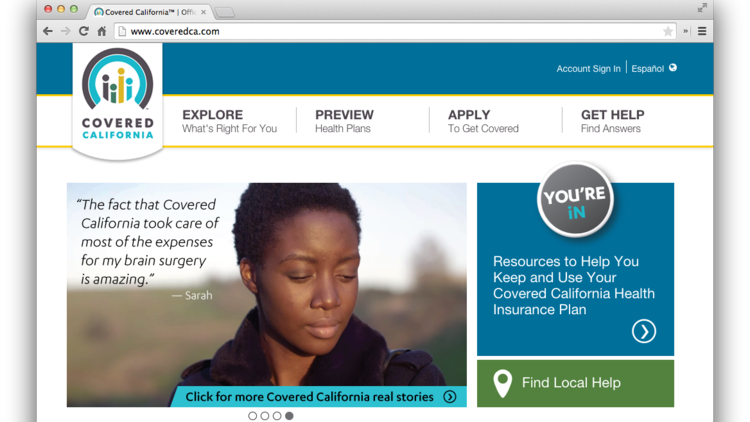 Enrollment rates for Covered California are probably not going up anytime soon. This also means that there will be a funding shortfall for the exchange since its main source of revenue is the individual fee that comes as a part of each insurance policy that is sold on the Covered California exchange. Covered California is projecting that it will enroll just under 1.5 million people and its goal is to get 2 million enrolled by 2019, an underwhelming goal when considering the large population of California. An analysis by consulting firm Avalere Health has revealed that California is the worst performing state with a mere 1% net enrollment growth. Forty-four percent (44%) of those who have policies from Covered California are struggling to pay the bills, according to a new poll. With larger premiums on the way, these huge costs that people are already finding hard to pay are being set up to get worse. There was an average net increase in premiums of 4.2% this year. Even though 74% of respondents said that their coverage was excellent or good that has to be put in context next to 88% who said the same for people with private coverage. With premiums that are hard to meet for consumers, it should be no surprise that enrollment for Covered California has suffered. The lesson to draw from this is that states that set up exchanges can expect greater costs on customers and if the government loses in the King v. Burwell ruling states should not establish exchanges.